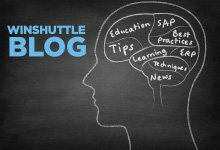 The 2011 and 15th anniversary edition of the SAP TechEd conference series was kicked off last week when 6,500 SAP techies congregated at the Venetian in Las Vegas. By the time the follow-up events are held in Madrid, Bangalore and Beijing later this year, more than 20,000 SAP professionals worldwide will have attended SAP TechEd. In recent years, SAP has adopted an annual cycle of announcing new product visions at SAPPHIRE in the beginning of the year and then following up with the technical details at the TechEd events later in the year. As such, Vishal Sikka’s keynote in Las Vegas was all about getting down to business with HANA. HANA is, of course, a very exciting new technology worth keeping an eye on as it will bring tremendous new opportunities in the future of SAP. However, I am much more concerned about what we can do for customers here and now and my main mission at TechEd was to conduct market research on current challenges with SAP. I spoke to 10s of existing and potential customers, collecting some invaluable feedback for our future product roadmap. Despite all of the new and exciting technologies being on display at a conference like this, the reality is that most SAP customers are still struggling with much more basic aspects of realizing the return of their existing investments in SAP technology. Many of the challenges that are mentioned repeatedly do all share the same fundamental root problem. The value proposition of the single instance ERP assumes that an enormous amount of data is managed in the core system and that this data is rigorously kept sound and current. Getting quality data into SAP in a timely manner was very high on the agenda of the all the customers I spoke to at SAP TechEd. Everyone was on the lookout for new and innovate ways of providing users with easy-to-use and role-specific interfaces that will ultimately automate data collection and entry. And there is a clear need for implementing such solutions much quicker and cheaper than in the past.